Advertising that stands up and stands out! 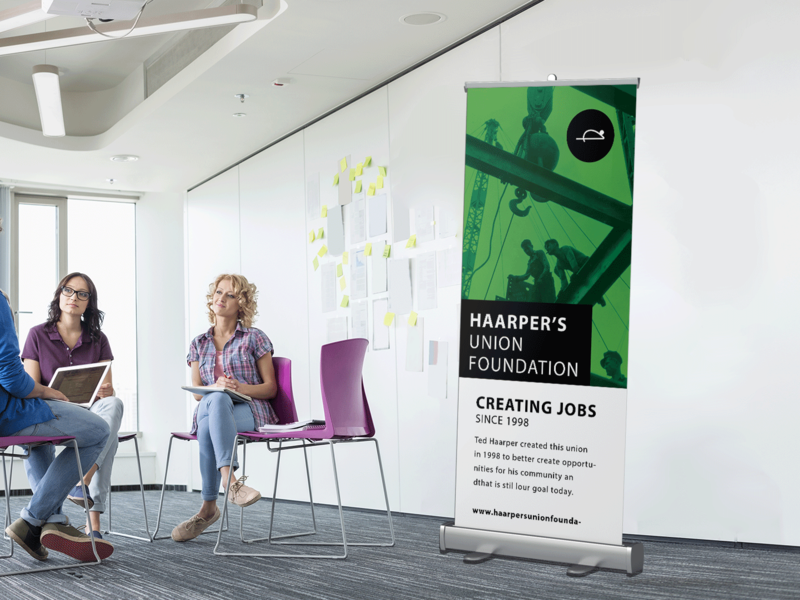 Our retractable banners provide mobile presentation solutions for trade show display booths, retail stores, restaurants, and hotels. Our affordable banner display stands, pop-up stands, and trade show banners are lightweight and easy to use so you will look like a pro wherever you show. The banner stand includes the following: Retractable Unit, Pole, Full color banner and a tote bag. Visible Graphic: 33.5" x 77"
Total Graphic Print Size: 33.5" x 84"